April showers bring May flowers, and this April we’re asking YOU to bring diapers to our month-long CommUnity Baby Shower! Around 900 families request diapers from CommUnity per month. At this time, we’re unable to guarantee that we’ll have diapers in stock when families visit. Why is that? If you’re a parent, you know — diapers are expensive! We keep food on our shelves at CommUnity because we purchase bulk food at a deep discount, receive donations from organizations like Table to Table, and we’re able to make our dollars stretch — $1 buys 4 pounds of food! Diapers are different. They don’t expire and they’re in high demand, so we pay the same for diapers as you do. Because of this, we rely purely on diaper drives and donations to supply diapers for our Food Bank families year-round. 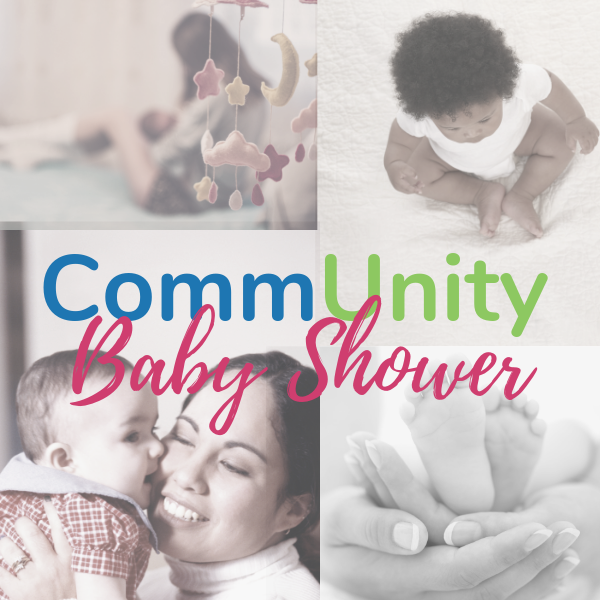 April is our month-long CommUnity Baby Shower. There are several ways you can help! Diapers can be dropped off at CommUnity Crisis Services and Food Bank, 1121 S. Gilbert Ct., Iowa City on Monday through Friday from 9:00 a.m. to 5:00 p.m., and until 7:00 p.m. on Tuesdays. Click here for more information on Donations & Drives. Disposable diapers can cost $70 to $80 per month per baby.